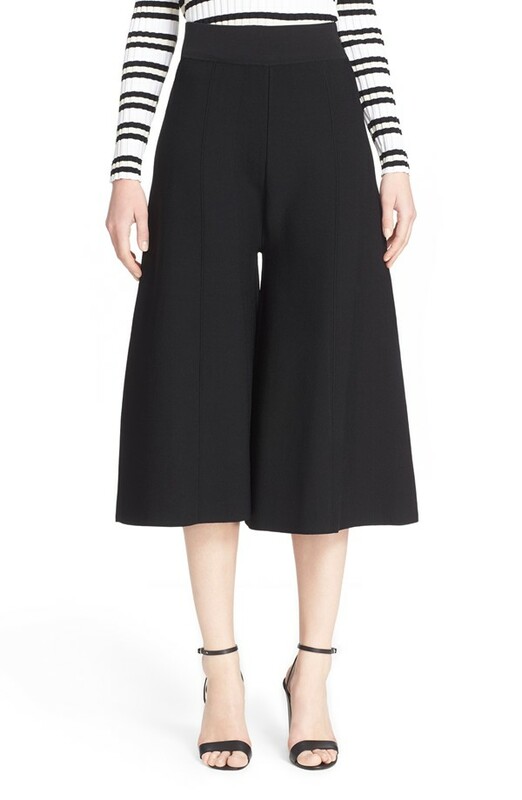 I have to admit, when the culotte trend first emerged I wanted nothing to do with it. 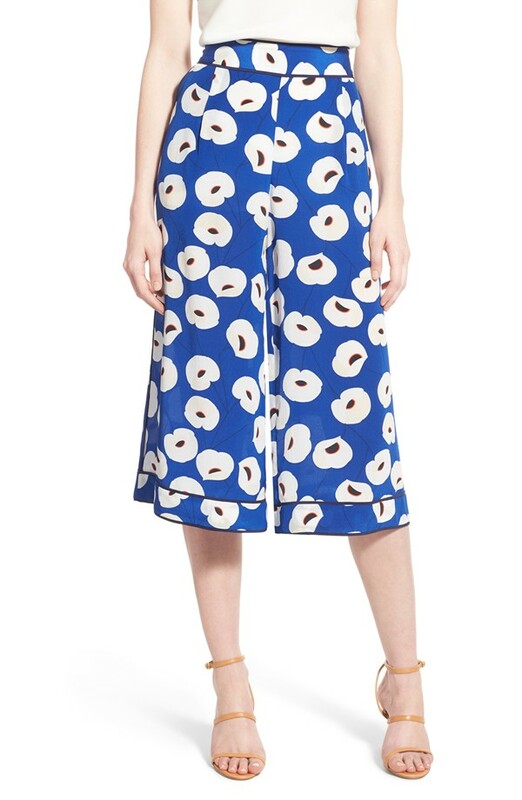 I guess because I lived through the whole capri trend and never really found it to be flattering on anyone (right?). 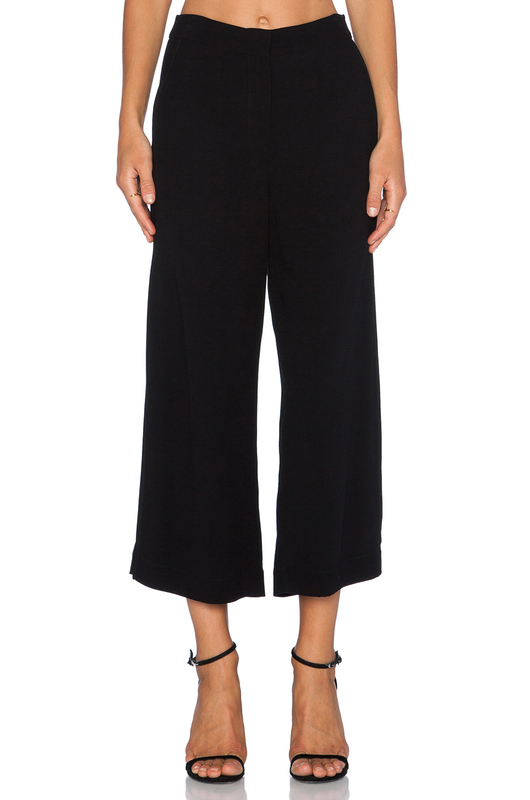 The difference with culottes, that I like, is that they are wider (which makes them way more flattering). 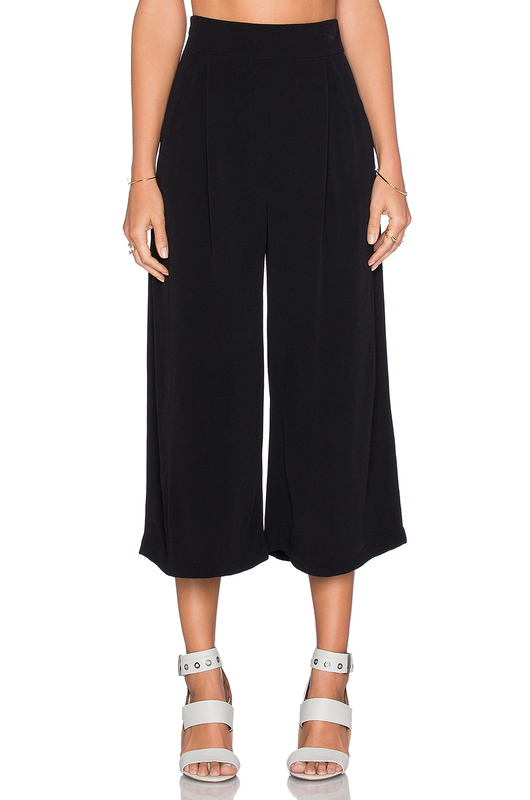 I fell in love with these lovelies, by Loup, because they are high waisted and have the most fun tie waist (another always flattering aspect). They are a super comfy stretchy linen/cotton mix, which makes them so wearable. My exact style is no longer available in black, but is available in white (so cute) and also here is another style by them in black. 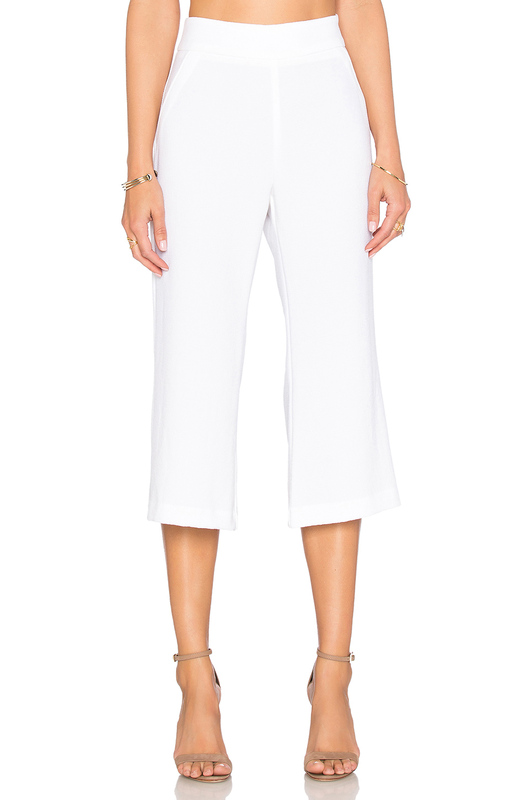 I paired them with this dreamy ruffled crop top (not too spendy at $98!) from Lovers & Friends. Does it get any more feminine? I adore this top and cant wait to wear it with high waisted denim and shorts all Summer long. One of my favorite color combos is black, white and red. SO classic and chic, right? That’s why my pom-pom adorned red heels from Aquazzara were a must with this look. I am dead over these beauties. Total night out on the town perfection! Just for fun, I added another pop of color with my favorite turquoise cuff from Natalie B. I can’t stop this gem. It’s just so good! My essential (I literally use it more than any other I own) Givenchy black “Antigona” bag was the perfect bag for this fun look as it’s simple, but fun. For sunnies I went with my also essential Illesteva’s. 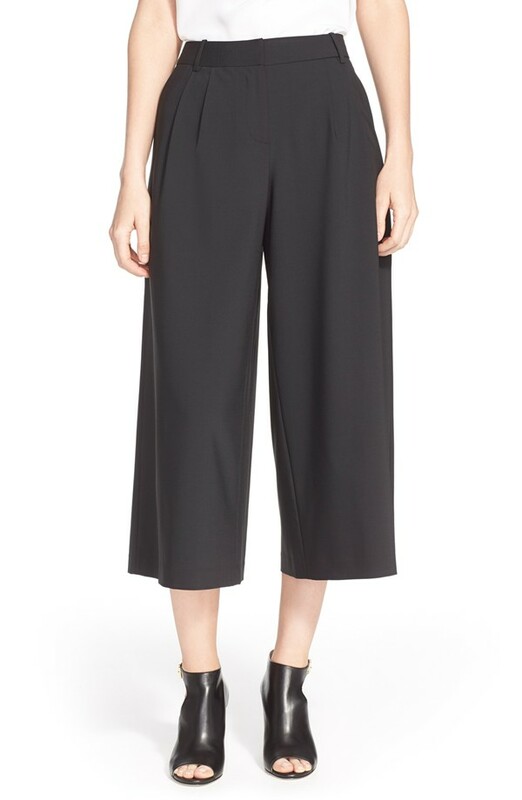 What I love about the culotte trend is that it’s definitely a step up from just throwing on denim, it can be a fun switch up for a night out or a chic choice for work. You could easily pair them with a simple button down to make them more work appropriate (vs the crop top I chose). I also love that they are cute on many shapes. I think these would be even better on someone with more curves than me!